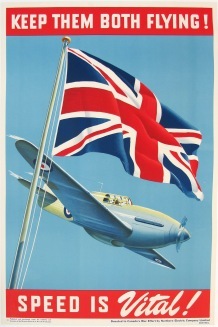 Vintage original World War II propaganda poster published by the Canadian Director General of Aircraft Production. Printed in 1942. Linenbacked.